Tenkara Vegetarian . . .
One photo with one caption can at times tell it all. Location: the salt waterfront of Manhattan Island. 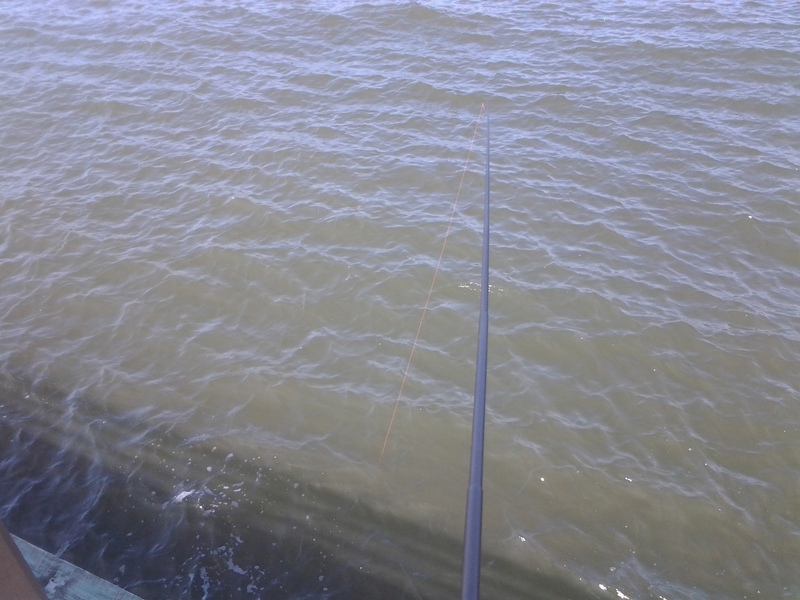 On the Water, On Line . 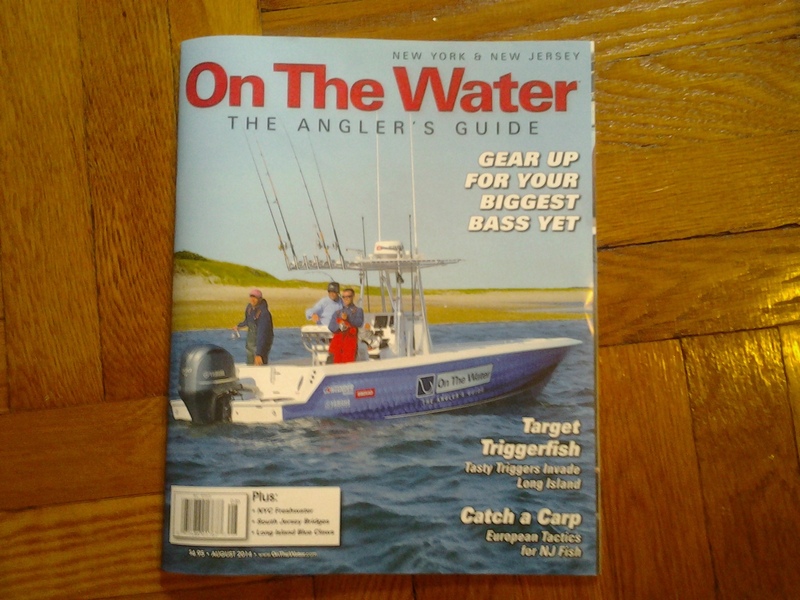 . .
On the Water, the magazine, is in print this August and the new issue is now available. 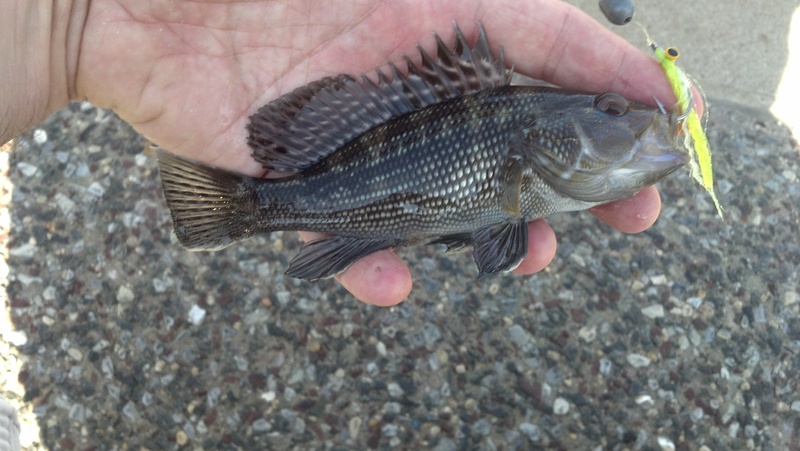 “Fishing the Five Boroughs” suggests one group of NYC lakes to fish during a long weekend. My Tenkara USA Ebisu makes another cameo in one of the photos. 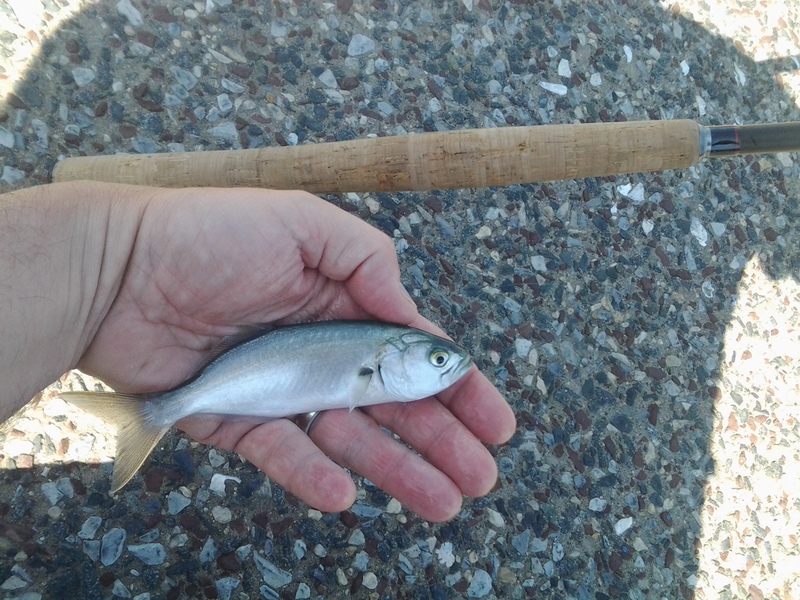 Saltwater panfishing on a tenkara rod flex of 7/3 requires a line leader formula more specific than general freshwater fishing. 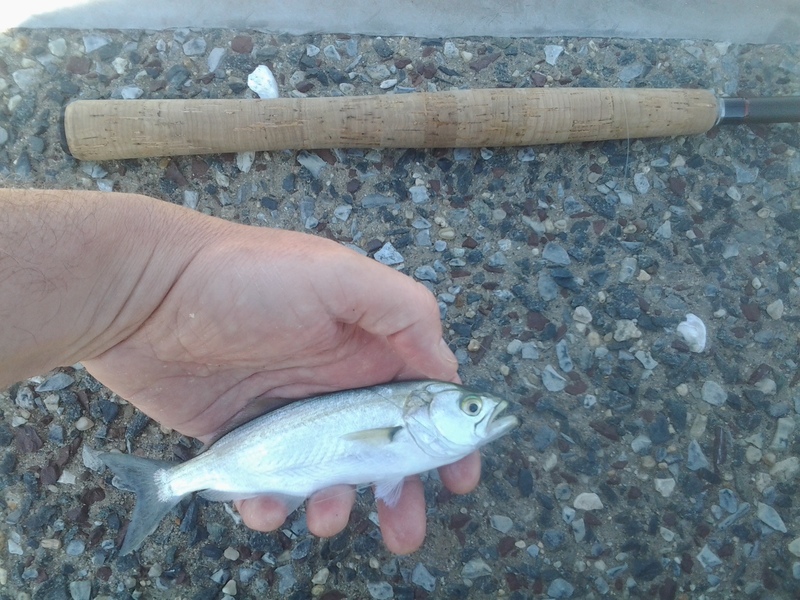 One I have found has fitted my form of casting and catching. The 3.5 Level Line I cut to length of the rod (I match my 12-foot Tenkara USA Yamame.) One end I use for the rod connection. I tie a slip knot to match the rod’s silk Lillian. The opposite tip is simple knotted to a #10 swivel. This midsection hardware tackle is my nod to the fascinating myriad of conventional bait rigs used for porgies, fluke, and other such inshore and estuary species. 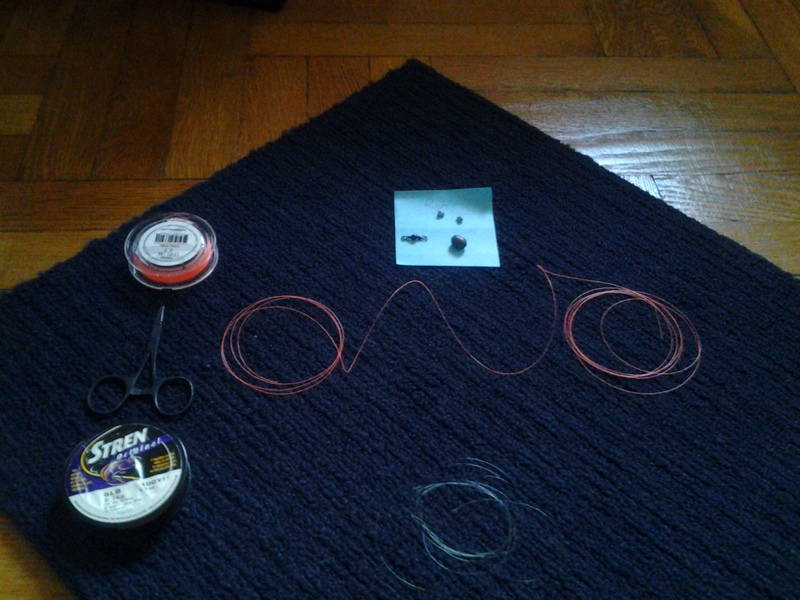 The tippet consists of a single straight length of monofilament between 4 and 8 pounds sized from one half to two-thirds the length of the Level Line. One can go a little lighter or higher on the line’s strength. The choice depends on an individual’s hook setting and fish playing techniques and whether or not one can tolerate a three dollar Clouser Minnow lost on a piling. The range of the leader tippet’s length provides a casting distance equal to line, rod, and outstretched arm. Twenty-five feet is a workable average and allows a captured fish to be raised over a fence or bannister without too much stress on fisher and fish. 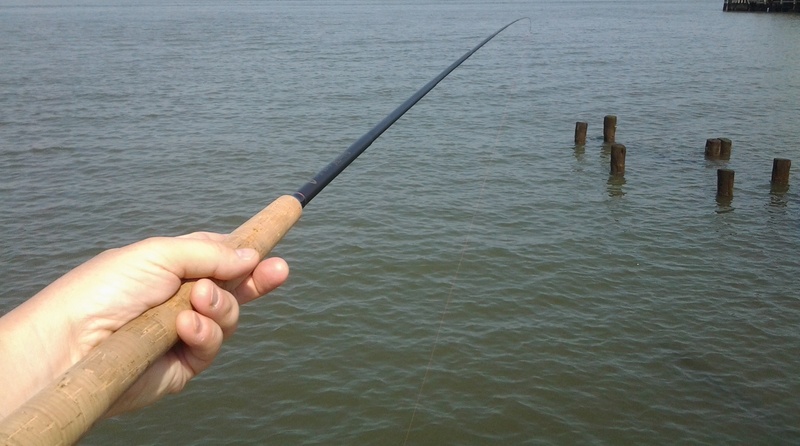 Docks and piers over the water, a jetty projecting into the surf, or flats and estuary grass banks can all be fished with tenkara equipment. The main point is a line leader similar to this one can cast small saltwater kebari patterns, reach fish, and bring fish to net or hand.